The European Environment Agency (EEA) has recently published the report on ‘Renewable energy in Europe 2017: recent growth and knock-on effects,’showing that renewables have become a major contributor to the energy transition occurring in many parts of Europe. As reported, growth in renewables continues to bolster climate change mitigation in the EU. The EU-wide share of renewable energy use increased from 15% in 2013 to 16% in 2014. This upward trend continued also in 2015, as renewable energy accounted for the majority (77%) of new electricity-generating capacity for the eighth year in a row. Recent data from Eurostat showed that the EU-wide renewable energy use finally reached 16.7% in 2015 – which is close to the EEA’s 16.4% preliminary estimate published in December 2016. This steady EU-wide progress in renewables since 2005 enables the EU to stay well on course to reach its target of 20 % by 2020. At Member State level, the shares of renewable energy use continues to vary widely, ranging from over 30% in Finland, Latvia and Sweden, to 5% or less in Luxembourg and Malta. Regarding solid biomass. Electricity generation from solid biomass grew from 4.8 Mtoe in 2005 to 9.0 Mtoe in 2014 (9). The growth rate over the 2005-2014 period was 7 % (Figure 2.6). In 2014, Germany's share of the total electricity generated from solid biomass was 17 %. The United Kingdom and Finland had shares of 15 % and 11 %, respectively. In 2015, electricity generation from solid biomass increased again compared with 2014 due to the expansion of biomass cogeneration and the conversion of coal-fired power plants to biomass installations. Again, in the United Kingdom there was a sharp increase in solid biomass electricity generation due to the conversion of a further, third, coal-fired power plant. Solid biomass remains the most important source of renewable energy for heating. The consumption of renewable heat originating from solid biomass decreased from 76.5 Mtoe in 2013 to 73.5 Mtoe in 2014. This decrease was mainly due to a mild winter in 2014, which reduced the demandfor heating. The compound annual growth rate for heat from solid biomass was 2 % over the period from 2005 to 2014. In 2015, the consumption of solid biomass for renewable heat increased to 75.9 Mtoe, according to an EEA estimate. To realise the expected NREAP levels of solid biomass for 2020, a growth rate of 2 % per year over the remaining period would be sufficient. Heating and cooling. The share of heating and cooling from renewable sources (RES-H&C) in the EU-28 was 17.7 % in 2014. The gross final consumption of RES-H&C was 87.5 Mtoe in 2014, which corresponds to a decrease of 1.8 Mtoe compared with 2013. In 2014, the largest contributions came from solid biomass (73.5 Mtoe, or 84 % of all RES-H&C), heat pumps (8.2 Mtoe, or 9 % of all RES-H&C) and biogas (2.9 Mtoe, or 3 % of all RES-H&C). 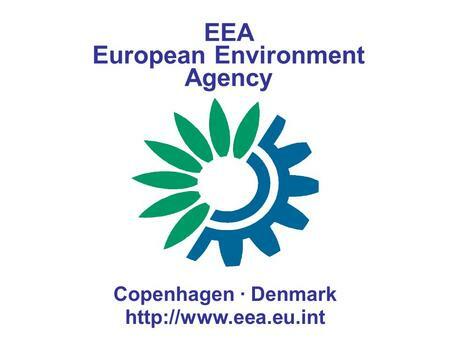 The full studyt is available on the EEA website.